A Scottish football club has lost a legal battle with Spanish Sherry producer Don Fino over the name of its blended whisky label. 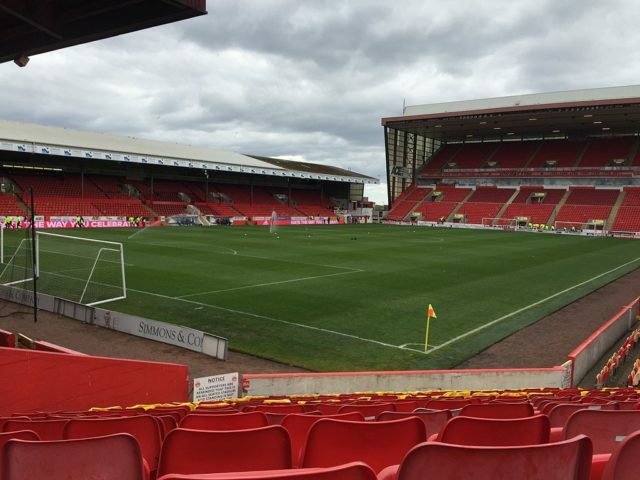 Aberdeen Football Club Plc applied to register two trademarks, The Dons Dram and Dons Dram, in September 2017 after partnering with a local distillery to create the blended whisky. However, drinks producer Sandeman, which owns the Sherry label Don Fino, objected to the move, arguing that it infringed on its own trademark which has been registered in various forms for close to a century. The sherry-maker applied for a trademark of a caped figure with the strapline “The Don” underneath in 1935, and in 1960 applied to register a trademark for Don Fino. It said that the club could benefit from this confusion, and demanded the application was stalled. Aberdeen FC argued that it had formed in 1903, more than 30 years before the first Don Fino application, and had been affectionately known as “The Dons” for over a century. the IPO ruled in Sandeman’s favour, concluding that most of the UK wouldn’t be aware of Aberdeen FC’s nickname. The club was ordered to pay £1,500 in legal fees, and will now have to either change the name of its spirit, or request permission from Sandeman to continue using the brand name.